Buy In Cebu: Craving for crabs? Try Crazy Crab! If you love crabs like me, you better head down to Gaisiano Country Mall and dine at Crazy Crabs. 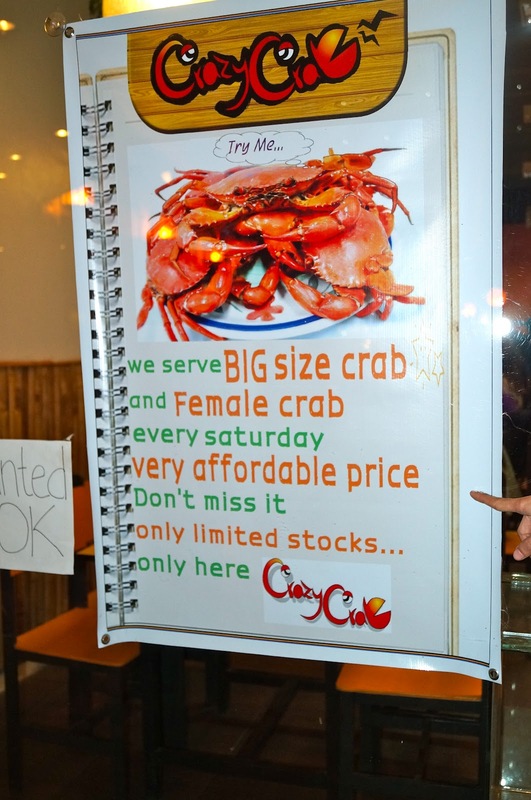 The restaurant have many sumptuous ways in preparing crabs. Not only it is delicious but it is also very affordable as an order of a whole crab good for one person is just around 160 pesos. For rice lovers, they also have set meals with unlimited rice for less than 100 pesos. You can choose from humba, sweet and sour, etc. to compliment your appetite for unlimited rice. 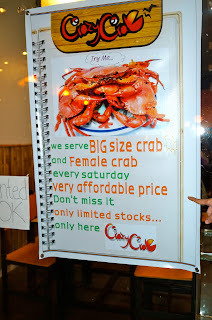 One of the best days to come to the restaurant is on Saturdays as they serve fat female crabs. You have to go early since their stocks are limited. Many locals and tourists like Koreans visit the place to satisfy their crab craving. Check it out and enjoy!! !